Welcome to the second in our series Knowledge November – our video and notes focus on the mechanics of Shared Parental Leave and how it actually works in practice. Remember, if you have questions at the end, just ask and then check out the answers on our web site! 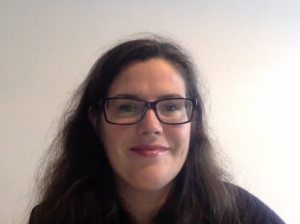 Watch Anna’s video for an explanation of the mechanics of shared parental leave. Q: What happens if an employee asks for a discontinuous period of leave and their employer uses the two week window to firstly discuss the situation with them but ultimately refuses to allow the employee the particular pattern that they’ve asked for? A: As we explain in the accompanying video this week, the employer is then stuck with the employee taking a continuous period of leave (i.e. one block). So, for example, if an employee had asked for three periods of leave of four weeks each with a return to work in between, they will be taking twelve weeks in one block. At this point the parent who finds themselves forced into a period of continuous leave (which wasn’t their initial preference), will find that their partner may then need to change their arrangements. The partner who had perhaps initially agreed discontinuous leave, working the opposite pattern to the employee who has just had theirs refused, will, if they want to make changes, have to give their employer eight weeks notice to change their leave pattern. Given this complexity and that one employee could find their childcare plans having gone out of the window, it makes us wonder whether employees will even risk asking for discontinuous leave. Of course, the employees, once they are into the shared parental leave scheme, can each take up to 20 days SPLIT days enabling them to attend work, for example to participate in key meetings or training days, without bringing their leave period to an end. These are separate and additional to any KIT days that a mother may take on maternity leave. Q: Is there a limit on the number of times that employees can vary the position? A: Yes! Under the legislation, employees can only chop and change three times. That doesn’t stop the employer agreeing to something else over and above what the legislation says. Q: What if the baby arrives early? A: As we know, babies don’t necessarily arrive to plan. Where parents have given all the notices that they need to give, the normal requirement to give eight weeks’ notice of variation is waived and they just have to give as much notice as is reasonably practicable. If the parents have given notice of intention to take shared parental leave but have not yet confirmed what the dates would be, again the requirement for eight weeks notice (which would normally be required) is waived and they just have to give as much notice as is reasonably practicable. Ask Anna to develop a Shared Parental Leave Policy for your company at a special November price of £199 + VAT. Do you need some training? Would you prefer training specially tailored to your business? Ask Anna about reduced rates for training courses booked this November.